61st Assault Helicopter Company - "Lucky Stars, Star Blazers"
The colors of the 61st Assault Helicopter Company Unit Crest, Blue and Gold, denotes Army Aviation Units. 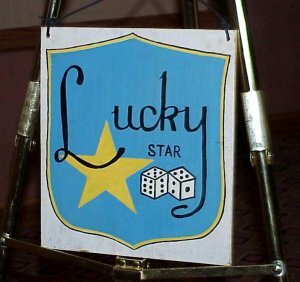 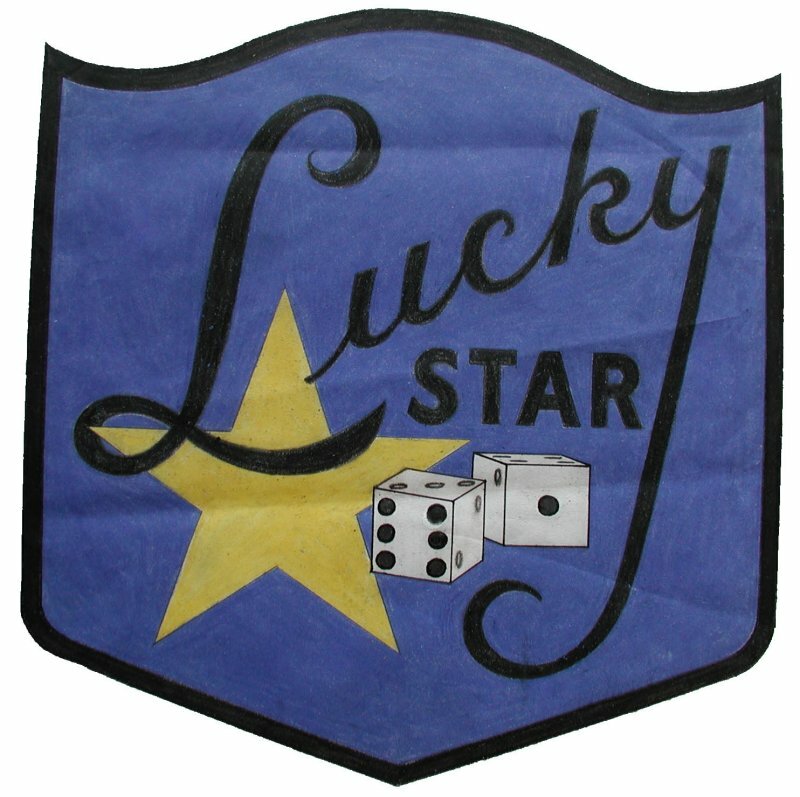 The Dice with the 6 -1 showing denotes the unit designation 61st and also adds up to seven meaning Good Luck thus the word "Lucky" is used. 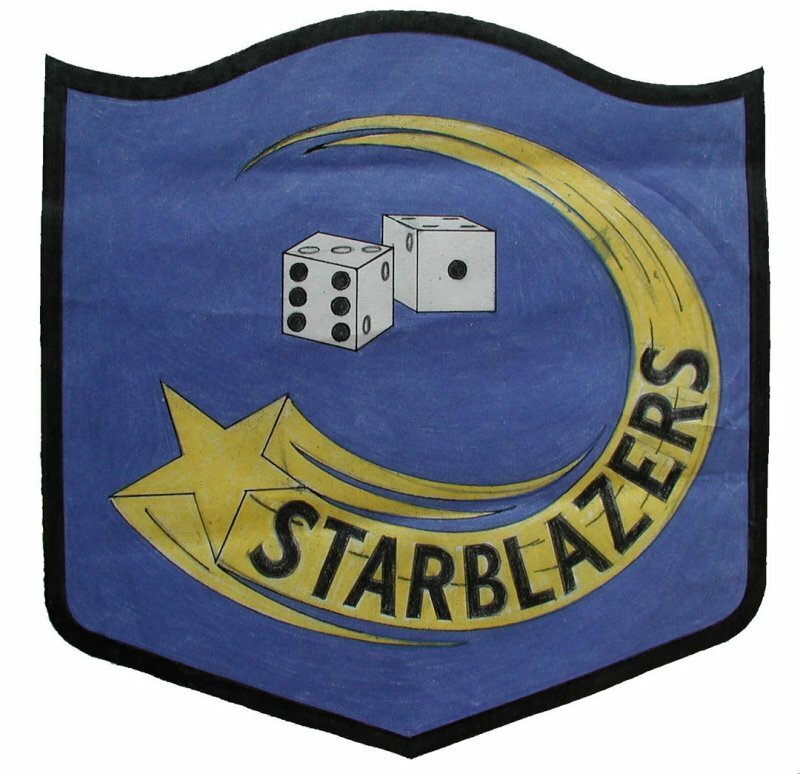 The "Star" comes from the Senior Aviators badge. 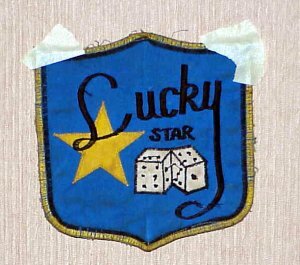 For compatibility the Armed Platoon or Gun Platoon also uses the Star. Blazers" is added to denote the swiftness and fire power of the gun ships. 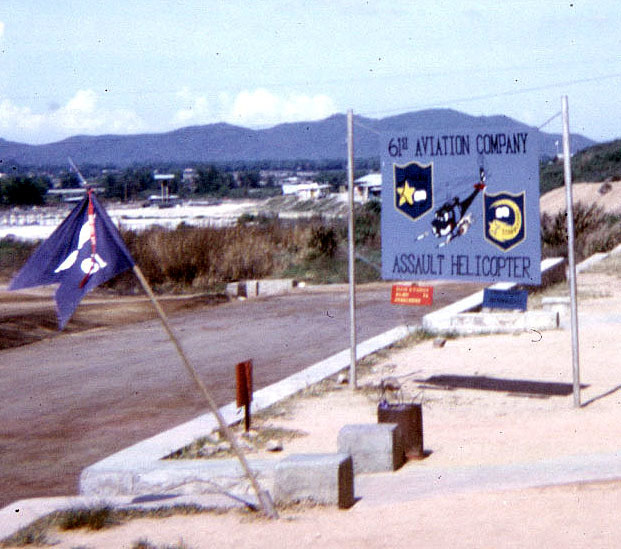 The unit was constituted on 3 April 1962, in the Regular Army as the 61st Aviation Company. It was activated 1 May 1962 at Ft. Bragg, NC, as a light transport (Otter) company, becoming a Caribou company later on in the year. 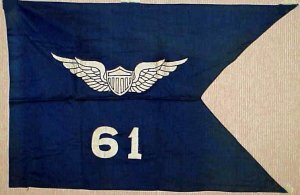 The 61st was inactivated 1 January 1967, in Vietnam, when the Caribou aircraft were turned over to the United States Air Force. 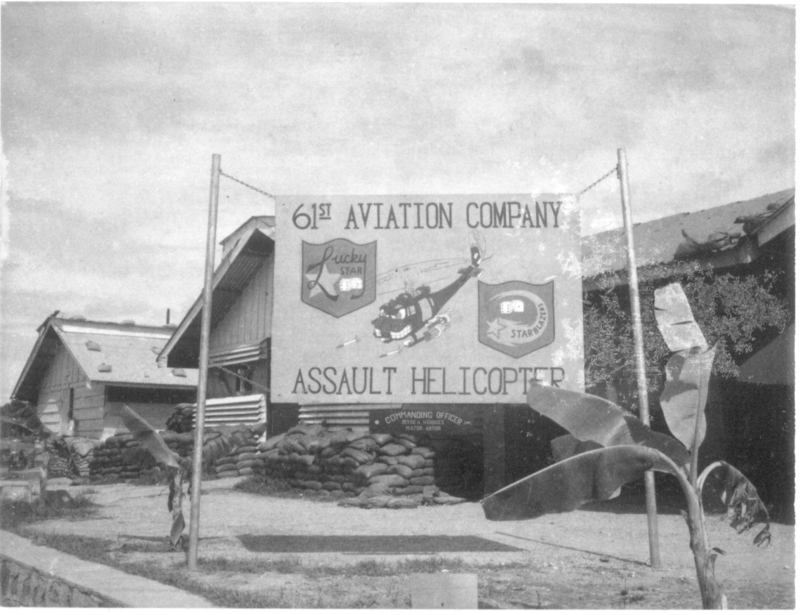 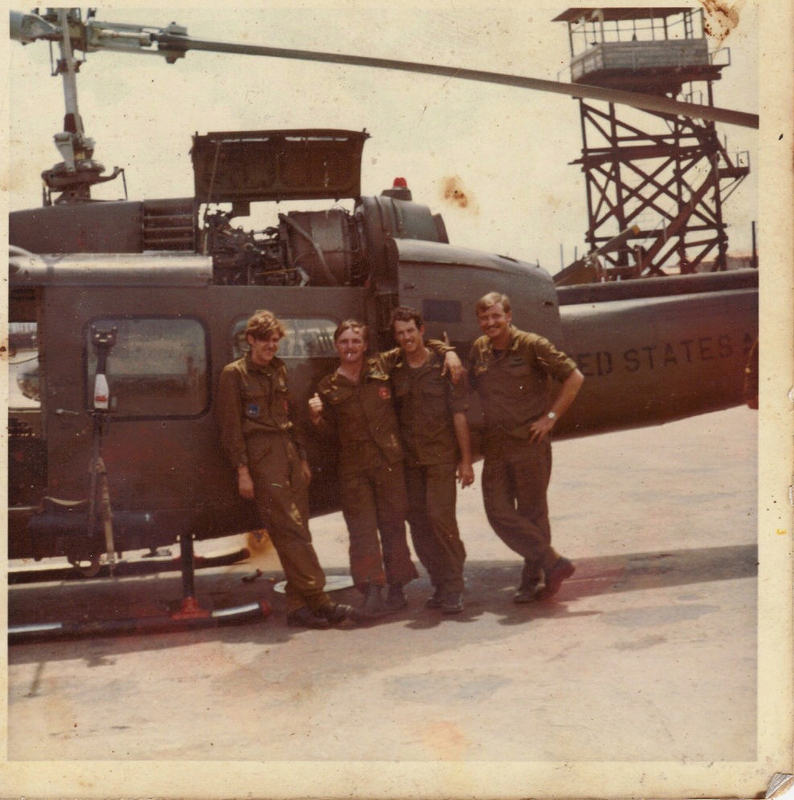 The 61st Assault Helicopter Company was activated at Ft. Campbell, KY, by General Orders 36, Headquarters, Third United States Army, dated 30 January 1967 and effective 8 February 1967. 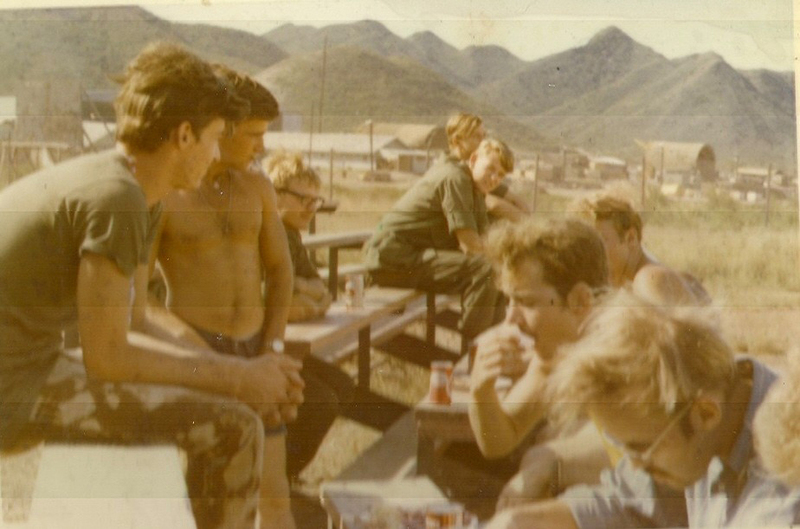 While in Vietnam the unit operated northern II Corps, they moved from Lane AHP (An Son) to LZ English (Bon Son) for a while then the slicks moved back to Lane and the guns stayed at English. Original oversized 61st AHC patch from the last commander A. Ross Russell. 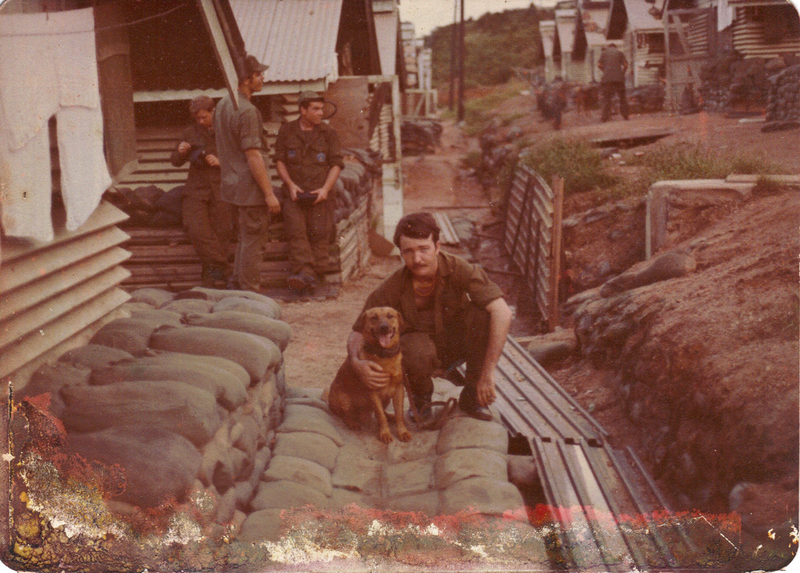 Sam the dog. 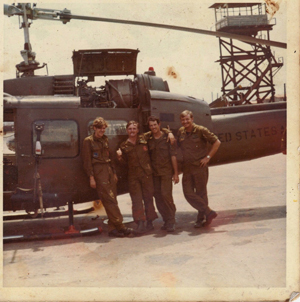 Sam flew with us and went on guard duty with us and would attack anything or anybody we told him to. We sent him back to the states. Gordon Young left Steve Cliche' on right. 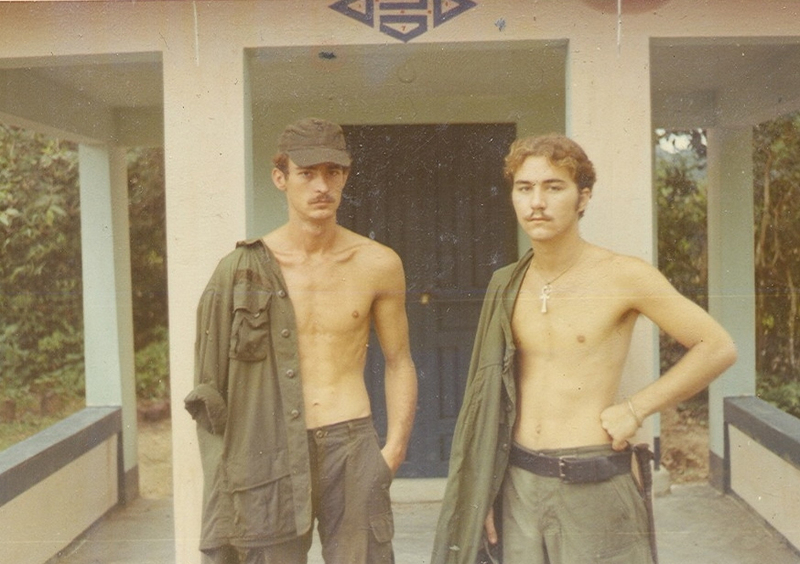 Me in brown camo pants at Lane.